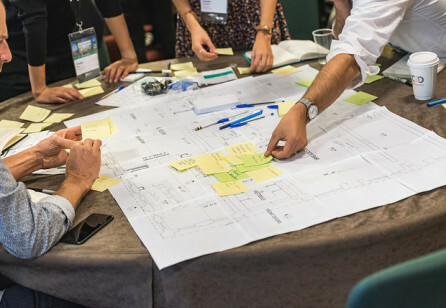 A session was held during the 2016 Service Design Global Conference to reflect on the academic challenges that service design is currently facing and how they can be overcome by the SDN community. More important than defining actions to address every suggested service design academic priority, this present text highlights one specific opportunity that could foster all of them simultaneously. 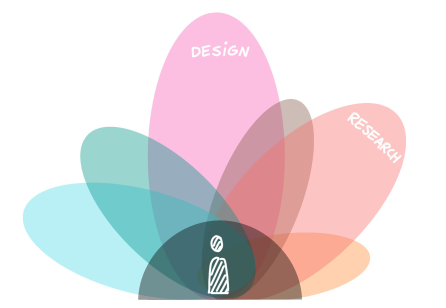 Support the creation of an outlet for service design academic research papers. More important than defining actions to address every suggested service design academic priority, this present text highlights one specific opportunity that could foster all of them simultaneously. Participants emphasised the value of creating a blind peer-reviewed academic journal (Priority #6), which could focus on publishing research papers on the other identified service design priorities (Priorities #1, #2, #4 and #5). 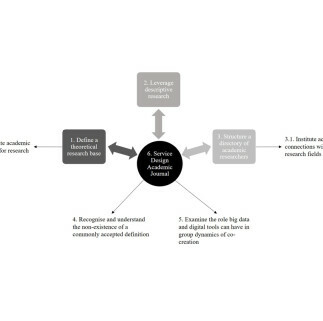 The very establishment of such an academic journal would require a set of committed academic researchers (Priority #3), who view service design as a research domain and enable calls for publication to move service design in academia forward. 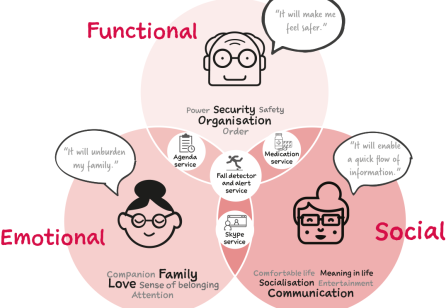 This article is relevant through outlining, for the first time and by a service design interested group, six priorities for service design in order to grow its significance in academia. Furthermore, it demonstrates how the creation of a blind peer-reviewed academic journal focused on service design can act as a cornerstone opportunity to support all of the previously named priorities. Research priorities, service design, academic, research, community. The authors would like to acknowledge the valuable contribution made by the participants of the academic session and, especially, the comments and contributions made to this text by Associate Professor Dr. Wolfgang Vorraber, Graz University of Technology; Berit Godfroij, Research Group Co-Design, Utrecht University of Applied Sciences; Professor Mauricio Bejarano Botero, Services Design and Consumer Behavior Professor, Universidad EAFIT. This project has partially received funding from the European Union's Horizon 2020 research and innovation program under the Marie Sklodowska-Curie grant agreement Nº 642116 and from the School of Design at the Savannah College of Art and Design. Six Priorities to Promote Service Design in Academia Mauricio Manhaes; Anna-Sophie Oertzen; Birgit Mager; and Jürgen Tanghe. Maurício Manhaes - Professor of Service Design at the Savannah College of Art and Design and an Associate Design Researcher at Livework. Maurício Manhães is a Professor of Service Design at the Savannah College of Art and Design and an Associate Design Researcher at Livework. In 2015, he obtained a Doctoral degree in Knowledge Management at the Federal University of Santa Catarina with the thesis "Innovativeness and Prejudice: Designing a Landscape of Diversity for Knowledge Creation." He often conducts workshops, classes, and lectures on service innovation in several countries. Anna-Sophie Oertzen is an Early Stage Researcher at the Service Design for Innovation Network (SDIN) funded by the European Union’s Horizon 2020 research and innovation program. As a PhD candidate, she is currently employed by KISD, the Köln International School of Design, and enrolled at Maastricht University in the Netherlands. Anna-Sophie Oertzen holds a BSc and a MSc in Strategy and Innovation from Maastricht University and a MSc in Management from Nova School of Business and Economics in Lisbon, Portugal. Since 1995, Birgit Mager has been Professor of Service Design at KISD, the Köln International School of Design, based in Cologne, Germany. Over the past eighteen years, she has been a leading figure in developing the theory and practice of service design. Her publications and lectures have contributed to the establishment of service design as an independent research discipline. Birgit Mager is the president of the International Service Design Network (SDN) and is responsible for organizing SDN‘s national and international conferences. Jürgen Tanghe - Director at Livework, and a Lecturer at TU Delft, Faculty Industrial Design Engineering. Jürgen Tanghe is Director at Livework, where he leads the business design and service transformations projects and a Lecturer at TU Delft, Faculty Industrial Design Engineering. Design has become a collaborative and interdisciplinary practice as it aligns with an increasingly diverse range of private and public sector efforts. While user-centric approaches to service innovation proved to be effective, innovators often omit that the focal user is not the only one influencing the decision for or against a new service. For example, when examining the introduction of social service robots in an elderly care setting, the final decision is influenced not only by the elderly (the focal actor), but also by family members, friends, GPs, nurses, and other professional service providers. MKB bedrijven kunnen zich nu aanmelden voor een service design masterclass!